When travelling throughout Japan, it is important to try to find all of the local delicacies so that you can enjoy the different things around Japan. Japan loves food travel and Ehime is not an exception. The only problem is that sometimes you have trouble trying to find a good place with local foods. Thankfully in Matsuyama, there is a single shop that can help you get everything you need at one shop! 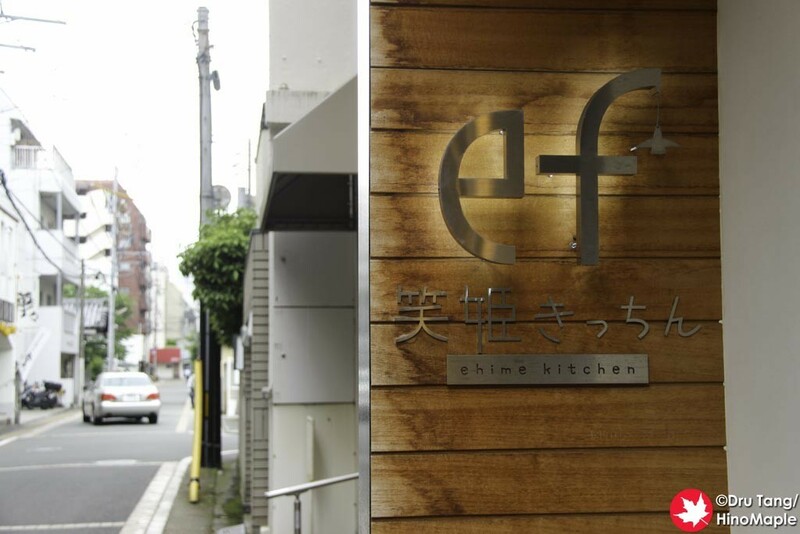 Finding Ehime Kitchen ef is not very easy. It is easy to find the area but the exact location is a little hidden. 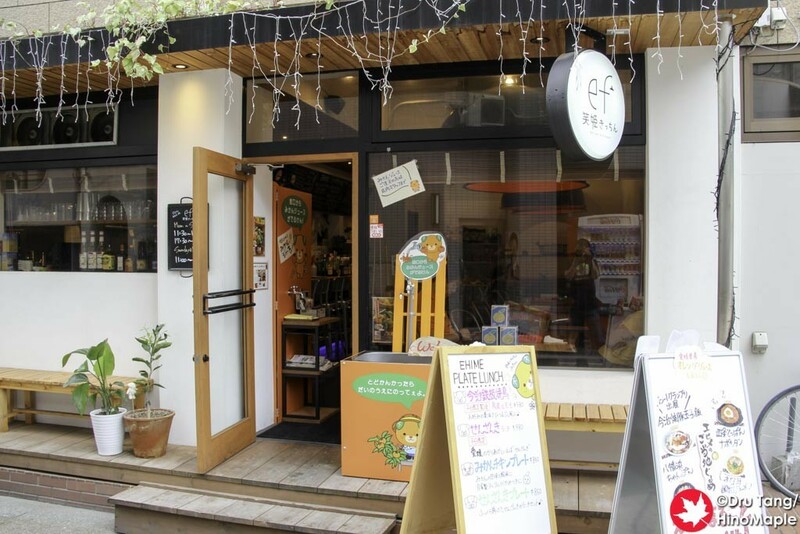 If you walk along the main tourist street from the Okaido tram stop towards the chair lift to Matsuyama Castle, you can find Ehime Kitchen ef. It is located just off the street on one of the side streets but it is still relatively easy to see if you are looking for it. 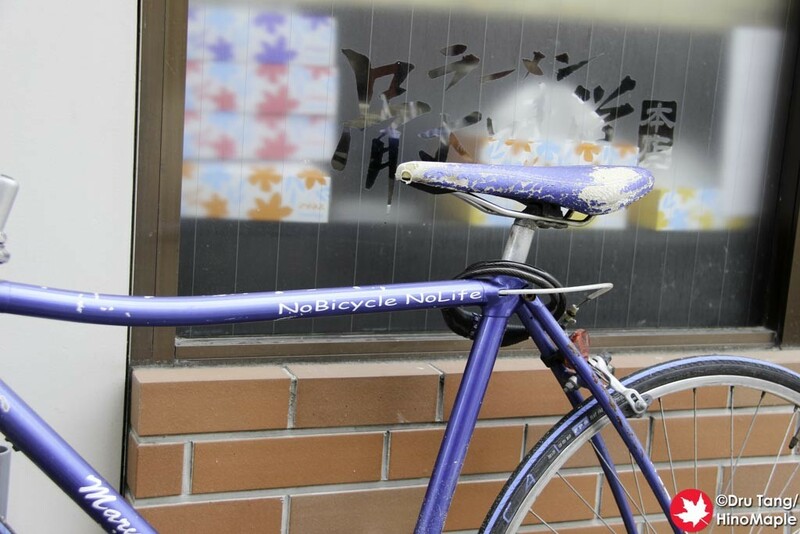 When you go in, you will notice that it is a nice little shop with nice seats. It felt a little strange, as if I was in a place that was designed by someone from Ikea, but I still enjoyed the place. I went there for the food and that is exactly what I got. You have several lunch options and while you can get the ramen or the spaghetti with a fried egg, I decided to get the Imabari Yakibuta Tamago Gohan. Imabari Yakibuta Tamago Gohan is exactly what it means, if you can read and understand Japanese. It is a local dish from Imabari that has grilled slices of pork and a fried egg on top of a bowl of rice. It has a really nice sauce that is really hard to explain but it was really good. I couldn’t stop myself from eating it quickly and before I knew it I was finished my meal. Ehime Kitchen ef is not the best place to eat and it feels a little like a tourist trap. The prices are not too expensive but they aren’t cheap either. I believe Imabari is a better place to get Imabari Yakibuta Tamago Gohan, but I didn’t have a chance to have it when I was in Imabari and I probably won’t be going back there anytime soon. I was happy to visit Ehime Kitchen ef and I would probably go back there again to try some of the other local specialties if I ever return again. 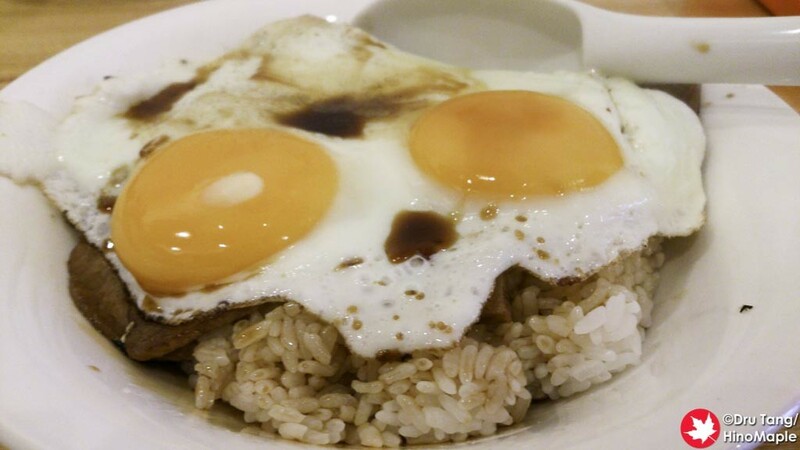 This entry was posted in Shikoku Food and tagged ef, Ehime, Ehime Kitchen ef, Gohan, Imabari, Imabari Yakibuta Tamago Gohan, japan, Matsuyama, Tamago, Yakibuta, Yakibuta Tamago Gohan by Dru. Bookmark the permalink.